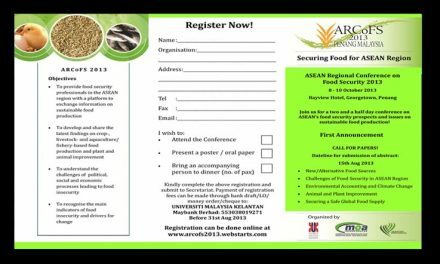 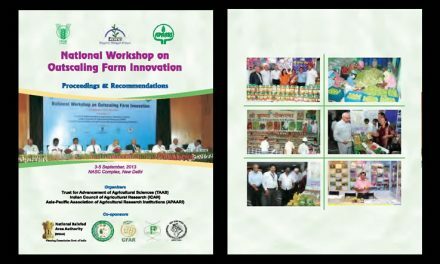 The National Bureau of Plant Genetic Resources (NBPGR), an institute under the Indian Council of Agricultural Research (ICAR), in collaboration with the Asia-Pacific Consortium on Agricultural Biotechnology (APCoAB), a programme of Asia-Pacific Association of Agricultural Research Institutions (APAARI), co-organize an international training course on In Vitro and Cryopreservation for Conservation of Plant Genetic Resources: Current Methods and Techniques on 17-28 February, 2014 at NBPGR (ICAR), New Delhi, India. 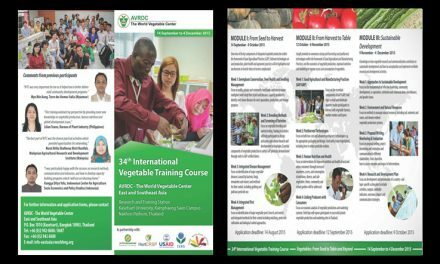 The course is designed for those currently involved in the development and use of in vitro and/or cryopreservation techniques for the medium- to long-term conservation of vegetatively propagated and non-orthodox seed species. 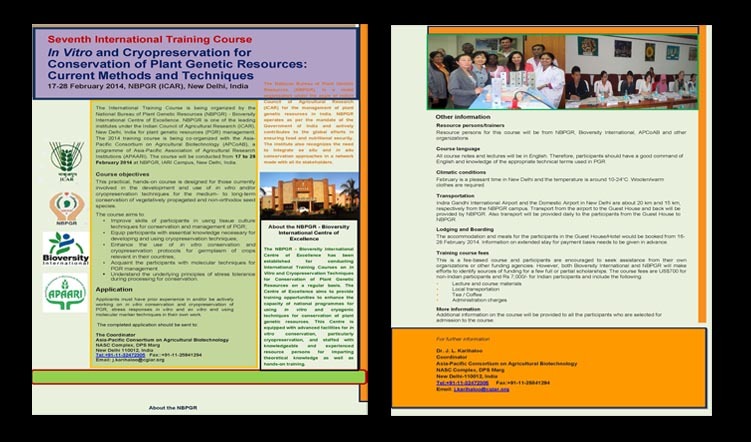 Applicants must have prior experience in and/or be actively working on in vitro conservation and cryopreservation of PGR, stress responses in vitro and ex vitro and using molecular marker techniques in their own work.